The Ackerman Institute For the Family is one of those institutions that you don’t just support, but you truly believe in and want their success. Founded in 1960, it has become one of the leading institutions for family therapy. It has a highly regarded reputation for not only being the best, but for hiring the best. The Institute serves families from all walks of life at all stages of family life. From couple and family therapy to training programs for mental health to research initiatives, the Ackerman institute For the Family believes in growing together. On a Monday night, I headed to the Waldorf Astoria to celebrate the Ackerman Institute Moving Families Forward Gala. The Gala not only sought out to bring awareness to the foundation, raise funding for the 2014 fiscal year, but also to celebrate the selected honorees for their service and support of the Ackerman Institute for the Family. Honorees included Jeannie Ackerman Curhan, Christopher J. Spano, and actor/philanthropist Colin Farrell. 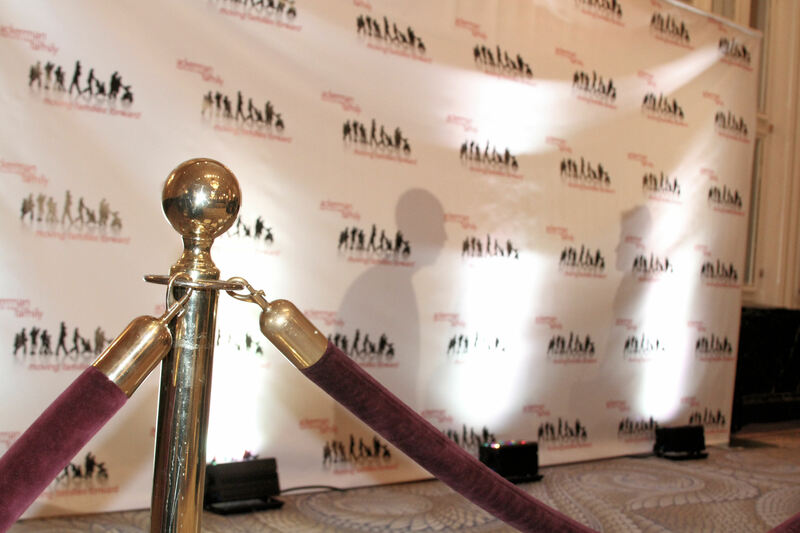 The night started with a cocktail hour and auction as the red carpet became filled with philanthropists and supporters of the Ackerman Institute for the Family. The Gala was hosted by NBC News’ TODAY anchor, Natalie Morales. President of the Ackerman Institute, Lois Braverman introduced “Short Conversations”-a short film about the importance of love, family, and therapy. “In today’s world, family is a single word with many meanings; however family remains the most powerful unit that sustains us through difficult times and heightens our joy during happy times”, Braverman explained. The Ackerman Institute Gala continued with a live auction featuring Sotheby’s Executive Vice President, C. Hugh Hildesley. The night was inspirational, celebratory, and humbling. When Actor Colin Farrell received the Ackerman Moving Families Forward Award, he explained his experiences with the Ackerman Institute. “It’s very personal,” Farrell explained “I accept this award on behalf of myself as well as my son. The Ackerman Institute’s work is changing how people perceive handicaps and mentally handicaps. They are helping those who need a voice”. The event was a great success, and showed the great impact The Ackerman Institutesfor the Family is making in family therapy. This continues to be one of my favorite foundations, and I was honored to attend. 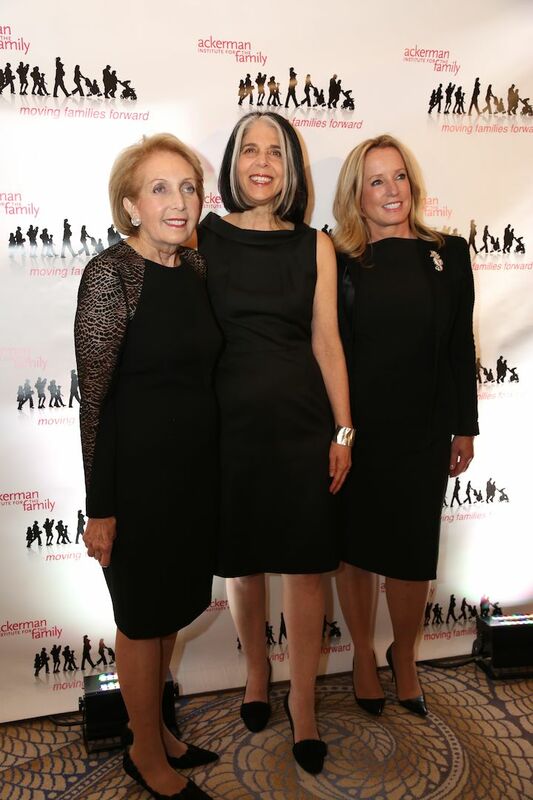 Gala Co-Chair Alice K. Netter, Ackerman President & CEO Lois Braverman and Gala Co-Chair Martha Fling. Photo by Erico Ribeiro.